You may have never heard it, but clean eating is just eating real food. Food in it’s natural state or raw. Not packaged and processed in a box or wrapper. 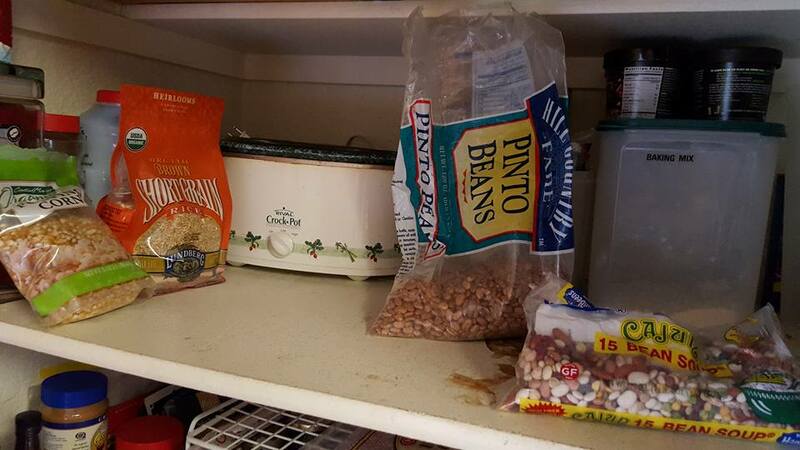 Want to know what’s in my cupboard? 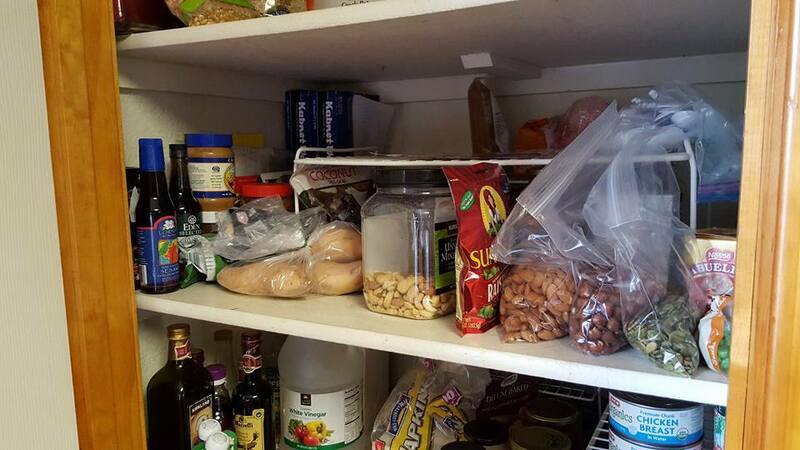 What you don’t see is chips, flour, sugar, pasta and boxes of processed food. 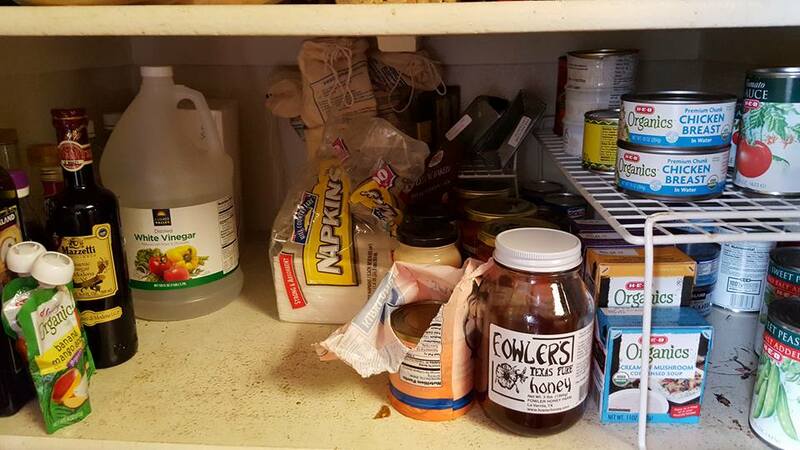 Condiments, canned goods, oils, vinegar and legumes. 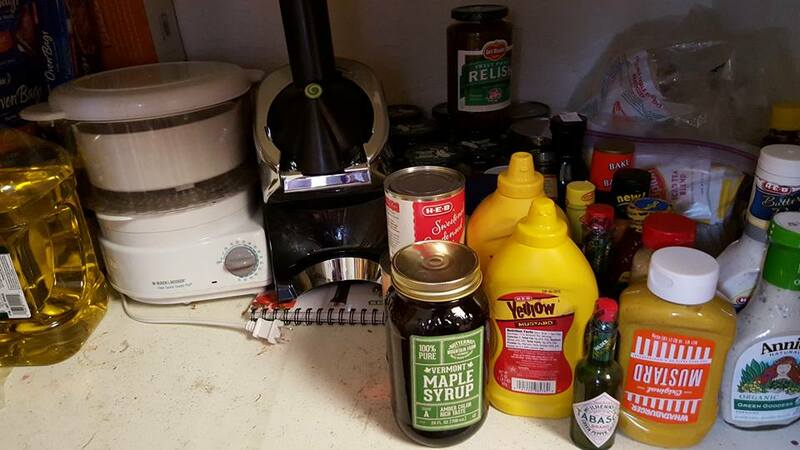 I even have room for crock pots, a rice cooker, and a fruit puree maker. I even have room left for a bit more if I wanted. Here is my refigerator. 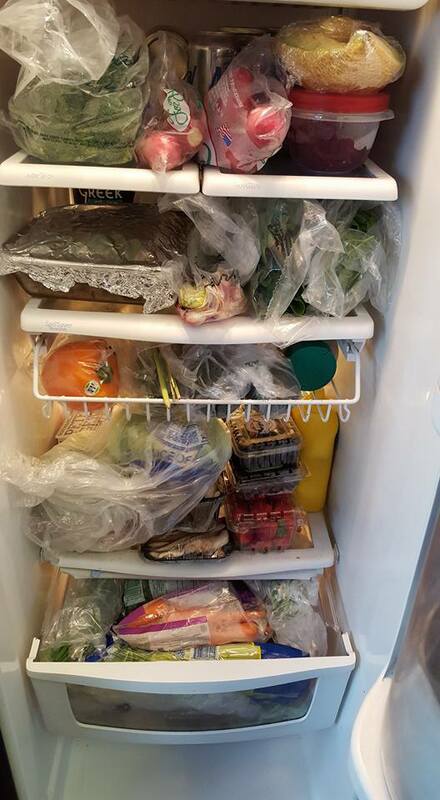 Yep, I have mostly fresh fruits and veggies, condiments and some leftovers. NO deli meats, cheese or other packaged processed ready to eat food. This is what I use as a sweetener for drinks, baked goods and everyday cooking. Please don’t use sugar substitutes, diet or sugar free products. Those are laden with toxic chemicals. Soda needs to be kicked to the curb as well, FOREVER! White sugar is bad because it is so highly processed. 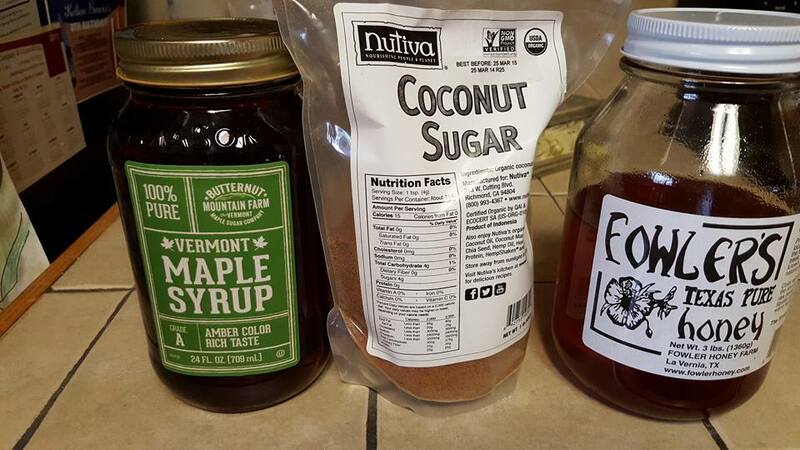 Raw can sugar, raw sugar, Maple Syrup(pure not flavored), coconut sugar and honey are healthy natural alternatives. Sugar is the main food sources for cancer, cut off the sugar and certain cancers often shrink or dies off. 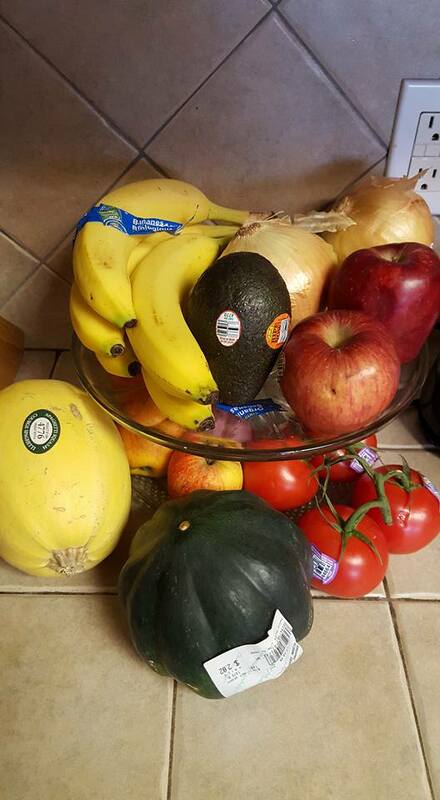 My counter tops, always have fresh fruits and vegetables on them. Having them out reminds us to eat them and keeps them in our minds when we see them there. It also makes us want to eat them. These are my cooking oils. 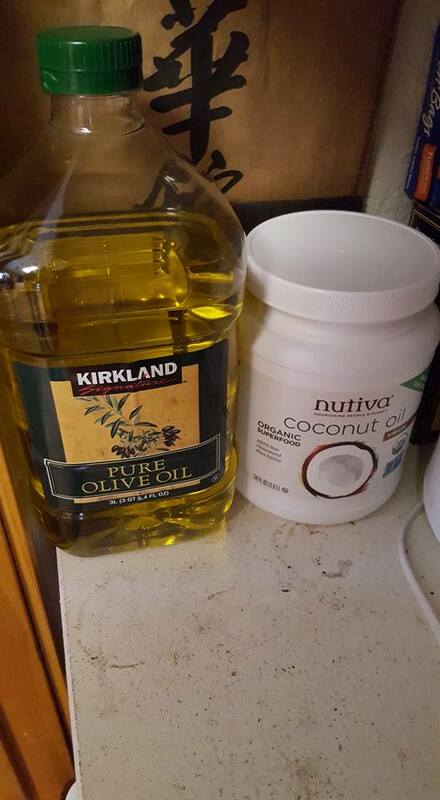 I use Virgin or Extra Virgin Olive oil or Cold Pressed Virgin Coconut oil for all my cooking. Vegetable, Canola and Corn oils are highly processed using chemicals and are laden with toxins. I will devote an entire page to oils and their processing later. As far as breads and pastas, I have pretty much been able to get over craving them after about a year of clean eating. White potatoes and white rice are not good for us either. I choose brown rice and for a potato if you choose the white fleshed sweet potato(not the purple yam) it is very good fried and mashed. This past Thanksgiving I used cauliflower for our mashed potatoes and I don’t think anyone noticed. I will share that recipe with ya’ll later as well as a califlower crust for a white pizza with chicken and veggies, yum. But, I did find these little sourdough cocktail loafs. When I do feel the need for bread I have one or two of these and I seem to be just fine. A sandwich, yep, they work, yes they are small, but, for me it seems to take away the hard craving when I just can’t resist a PB&J or a tuna or chicken salad sandwich. 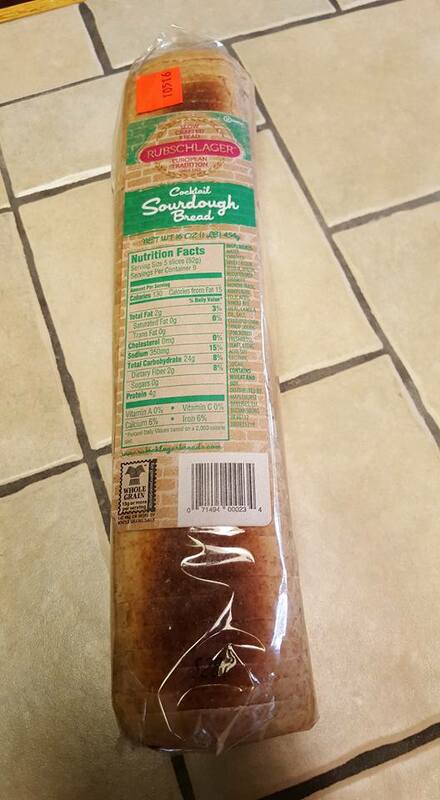 Sourdough is better for you than regular white bread. This little loaf is wheat as well.